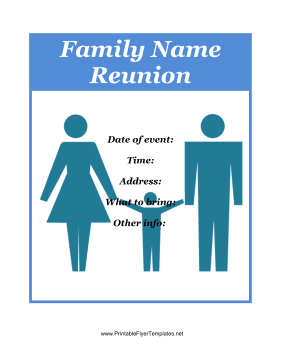 Is your family reunion coming up? Get the word out with this blue flyer, which features two parents and a child together. You can input the date, time, address, and other key information. Remember to put your own name at the top!